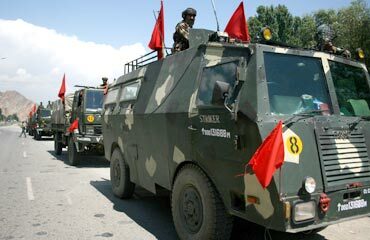 Rediff.com » News » Centre planning troop cut in Kashmir? 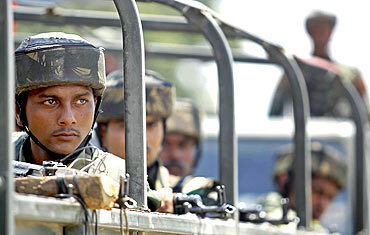 Centre planning troop cut in Kashmir? 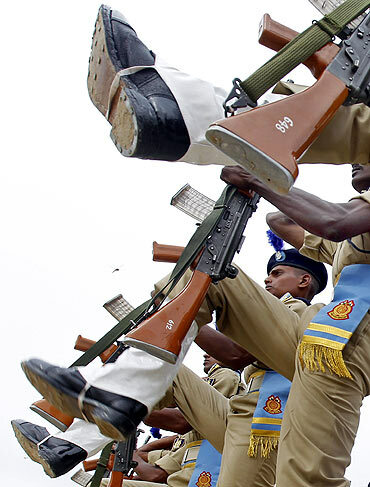 The government is considering reducing the strength of security forces deployed in Jammu and Kashmir by 25 per cent as a confidence building measure. 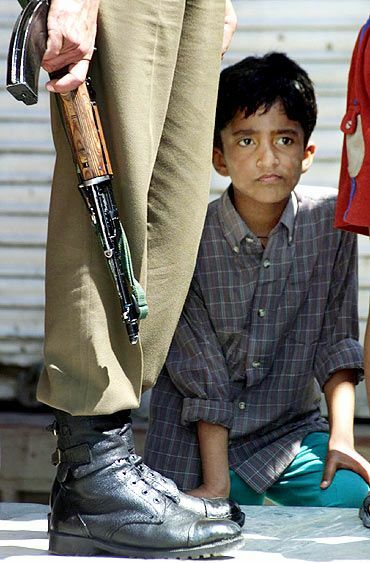 Home Secretary Gopal K Pillai also said that India Is planning to unilaterally issue six-month multiple entry permits for people of Pakistan-occupied-Kashmir who want to visit Jammu and Kashmir through the Line of Control. "As a confidence building measure in Jammu and Kashmir, the strength of the security forces would come down by 25 per cent. We would like to reduce it as soon as possible depending on the ground situation," he said while addressing a seminar at the Jamia Milia Islamia University. Pillai pointed out that a few years ago, there were two divisions of the army in Nagaland, but now there was hardly any presence of security forces in the state. There were 60 companies (6,000 personnel) of paramilitary forces in Nagaland and now just two companies were stationed there, he said. "These are things which, if peace comes, if violence is not there, if people are comfortable, we can gradually reduce (the force strength) and make sure that all forces are only at the border and for preventing infiltration," he said. Why don't we give a six-month multiple entry permit? The home secretary said as part of confidence building measures, India and Pakistan may allow people from Jammu and Kashmir and PoK to visit either side with a permit valid for 15 days. "We suggested that the people visit their relatives more often. So, we have suggested that if you give a 15-day permit, they have to go through the verification process. So why don't we give a six-month multiple entry permit? Once verification is done, one will be able to visit relatives whenever he or she wants. Now we are planning to unilaterally give six-month multiple entry permits for people of PoK," he said.